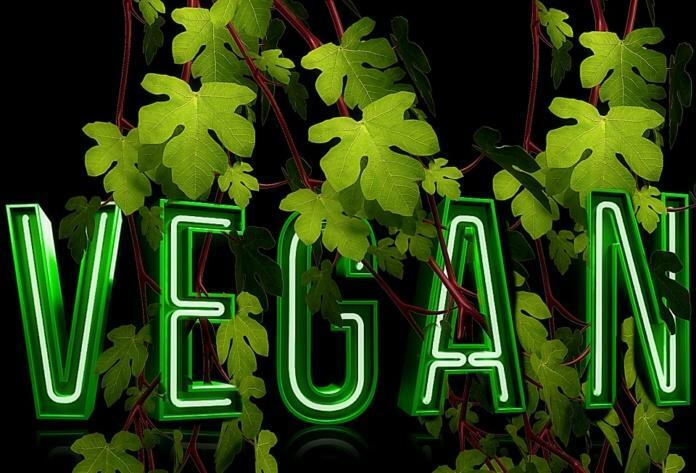 No matter the reason for your choice to be vegan, there are just some foods you miss and can’t always find vegan alternatives for, and some restaurants don’t offer vegan or vegetarian options at all. In Salt Lake City, however, these five restaurants are the perfect places for everything from delicious dinners to creamy ice cream. Monkeywrench: We all really do scream for ice cream this summer with Monkeywrench’s non-dairy ice cream. This shop makes their tasty vegan treats from coconut and cashew milk. From ice cream classics like vanilla to delicately delicious flavors like lavender, there’s a beautiful blend of America’s favorite dessert for everyone. Open from 11 a.m. to 11 p.m, find this vegetarian and vegan coffee/ice cream shop at 53 East Gallivan Avenue in Salt Lake City. Passion Flour Patisserie: 100% vegan baked goods. If this isn’t enough to convince you, this bakery uses authentic French recipes and the best ingredients they can to bake amazing desserts and breakfast pastries. Brighten your morning with a special treat or treat someone to a “ham and cheese” sandwich, pound cake or Kouign-Amann. Take a trip to 165 South and 900 East, Salt Lake City between 8 a.m. and 6 p.m. any day Tuesday through Friday. From Saturday to Monday, you can stop by between 9 a.m. and 5 p.m. and place orders for dog treats or a morning pick-me-up. Passion Flour makes the best even better by offering custom cakes and dog treats for your favorite furry friend. Vertical Diner: Located on 234 West and 900 South, this place is one of the most vegan and vegetarian-friendly restaurants in Utah. Not only do they serve a wide variety of vegan and vegetarian food, but a lot of it is gluten-free, too. The Vertical Diner is also willing to modify almost anything on the menu if you find a dish you don’t want to go without. You can’t go wrong with Vertical’s tacos or the Guac ‘n Roll burger. Zao Asian Cafe: Zao is the best place to go for tons of amazing dishes! Zao has many locations, and their closest spot to the University of Utah is on 639 East and 400 South. The meat in almost any dish can easily be substituted for crisp and savory tofu. Salads and soups are the perfect places to start for a decadent dinner with elements of traditional Asian cuisines. Zest Kitchen and Bar: For those over 21 looking for a fun night out, head to Zest. With dishes which are not only completely vegan but often organic, Zest offers a wide variety of vegan delicacies. Additionally, all of their amazingly diverse wines are 100% organic and certified vegan. From peach vodka to the non-alcoholic berry lavender lemonade, there’s a delicious drink for everyone on a night out in the town. Head over to 275 South and 200 West with a group of friends or a zingy date. Zest is open 11 a.m. to 10 p.m. every day except Sunday, where they’ll serve guests from 10 a.m. to 9 p.m. So munch happily on dinner and dessert this summer, no matter your dietary decisions, and try a new take on some of your favorite dishes by stopping by one of these amazing restaurants with friends or family. 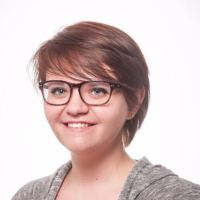 Jaycen Eggleston is an English major who makes a mean macchiato and is interning at the Arts Desk. The list of “vegan” food items leaves me confused. The entire point of veganism is to eliminate the unnecessary death of sentient life forms. Vegans forego beef in order to preserve the life of the steer. Most also understand that growing food has its own cost in animal life that extends far beyond the individual consumed. Feeding the steer, for example, requires the conversion of wild lands into crop fields that serve no species besides man, eliminating innumerable mammals, birds, reptiles and amphibians that cannot survive such total loss of habitat. Erosion and the diversion of water for purposes of irrigation further degrades sensitive aquatic systems well beyond the farm itself. It is no wonder that agriculture is the foremost cause of extinction, world-wide, not to mention the single greatest source of greenhouse gases destined to alter our environment for millennia. Where do peach vodka, lemonade and ice cream fit into the question? Are these the sort of necessities that merit the animal death required to produce them? For the moment, veganism suffers an identity crisis as practice diverges significantly from principle. More and more, people are beginning to realize that there is no clear line to distinguish “good” food from “bad.” Where in the vegan mantra is it acknowledged that not all animal-based foods are highly destructive and that not all plant-based foods are equally benign? How can one justify shipping mangos across entire continents and oceans and still pat oneself on the back? Can one fairly applaud almonds and cashews that require more water to produce than chicken? The fact is, there are no “cruelty free” foods. Agriculture of any sort requires the destruction of every creature living on the landscape converted to that purpose. We deceive ourselves, therefore, when we pretend that a line drawn arbitrarily between plant and animal adequately distinguishes between “good” food and “bad.” In terms of animal life and environmental impact, our most conscientious eating habits require a great deal more flexibility than the current vegan mantra currently dictates. It seems that most practitioners recognize this as the adjective “vegan” has become synonymous with “plant-based” and used to describe foods rather than people, most of whom will visit a vegan restaurant or purchase “vegan” cake, but not limit themselves entirely to soy and hemp protein.